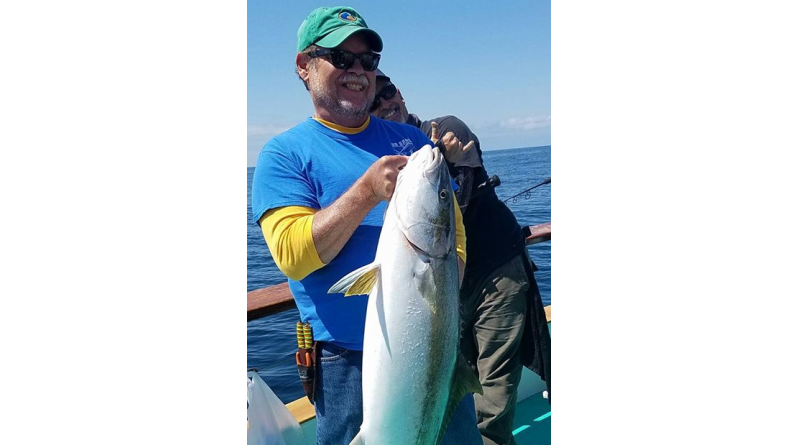 Roger Blaise caught the only yellowtail during a three-quarter-day trip on May 26 and aboard Coroloma out of Hook’s Landing in Ventura. The yellowtail weighed 32 pounds and was caught on live anchovy. Anglers also reeled in one lingcod, one sheephead, 22 whitefish, 25 red snappers and 110 rockfish on the three-quarter-day trip. A few days earlier Hook’s Landing reported an angler catching a 40-pound yellowtail.